Thanks to everyone for checking out the first mix in the DFW Mix Series. The First episode Needle to the Groove has had 850 hits so far which is a pleasant surprise. Thanks for listening we are busy putting together the next episodes for you which will be up online soon. Something worth checking out is the Dust and Grooves blog. 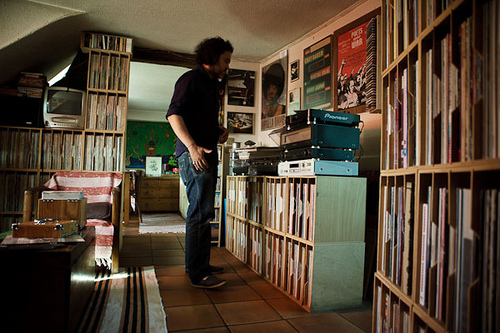 Eilon Paz who is an enthusiastic crate digger himself runs things over at Dust and Grooves. He interviews vinyl enthusiasts from round the world usually in their homes where they talk about their favorite finds and influences.